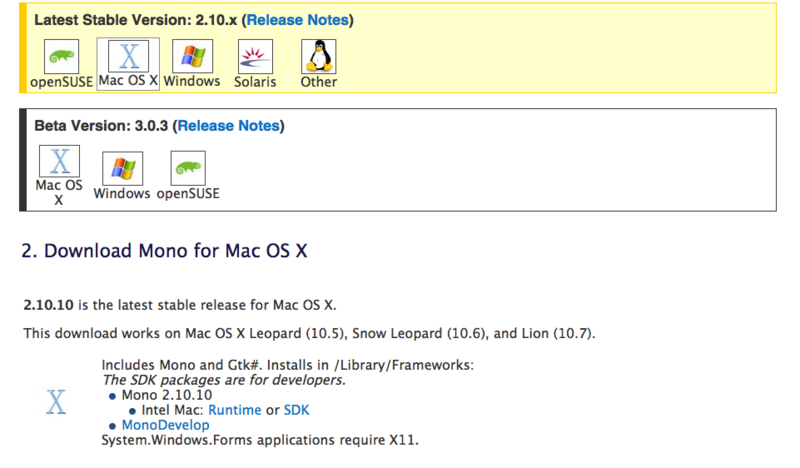 This guide describe how to get the LEGO Mindstorms NXT brick to work with the MonoBrick communication library under Mac OS. 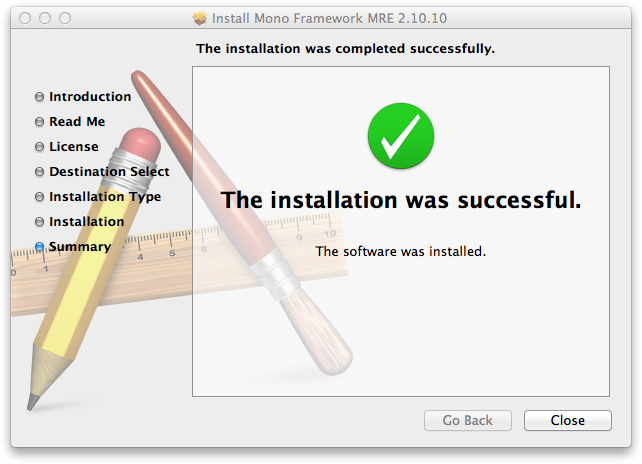 First you need to install the Mono Runtime or the Mono SDK. Install the SDK and MonoDevelop only if you are planning to write your own programs using MonoBrick communication library. All three files can be downloaded from the Mono website. 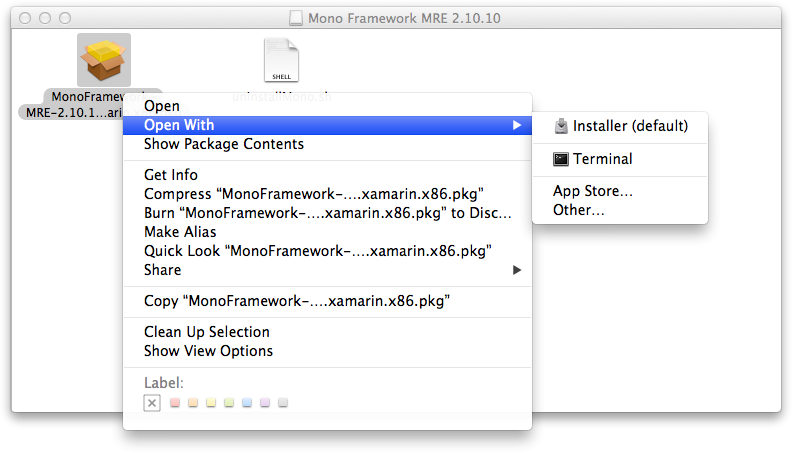 Once the Runtime/SDK has been downloaded unpack the file and install the PKG file. Once this is done you should be able to run C# programs.